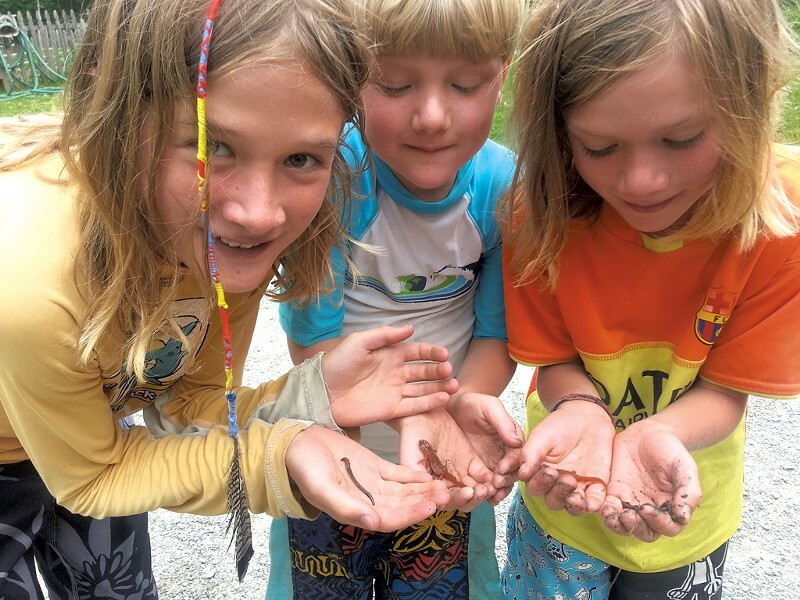 Taking the Venture Vermont Outdoor Challenge | Fit Families | Kids VT - small people, big ideas! Westford dad Brian Miller is on a very Vermont-y quest: to visit every one of the state's 52 state parks. He and his family of four have made it to 25 so far. When they set out, they make sure to bring one very important document: their Venture Vermont Outdoor Challenge score sheet. 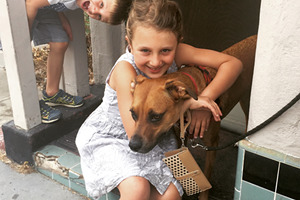 Venture Vermont is a scavenger hunt-style activity that invites participants to choose from a variety of outdoor tasks, worth five to 15 points each. Some are straightforward and simple, like making a bike obstacle course or finding a salamander in the woods. Others require a family outing, like going for a hike or river tubing. And some — sleeping under the stars or camping in a lean-to at a Vermont State Park — are overnight experiences. To prove a task has been completed, the Millers will take photos of themselves in action. When they earn their 250 points, they'll send their scoresheets and their photos to the Vermont State Parks — the deadline is October 15, the end of the 2016 season. In return, they'll receive VIP medallions entitling them to free day entry to all Vermont State Parks for the remainder of this season and all of the next one. The parks launched this initiative in 2008. The tasks change slightly from year to year, to encourage repeat participation. It's working for the Millers. This is the fifth summer the family has attempted the challenge. "We do it because it gives us the opportunity to do things we would not normally do on an everyday basis," Miller says. Like their recent hike at Niquette Bay State Park in Colchester. Venture Vermont may help drive visitors to the parks, but Vermont State Parks director Craig Whipple describes it as "a tool" to incentivize people to get outside and reap the physical and emotional health benefits that brings. 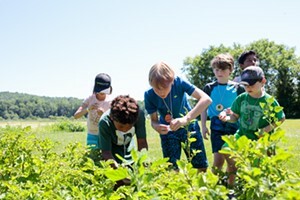 Spending time in nature fosters a lifelong appreciation of the outdoors for kids, who will be the "next generation of environmental stewards," he says. Daniela Michaels of Ferrisburgh is another repeat customer. She's been doing the challenge with her husband and three kids for the past five years. It appealed to her partly because she lives near Button Bay State Park. Each member of the family must submit a completed score sheet to receive their medallion. So Michaels prints out a master copy of the sheet for the fridge to keep track of family accomplishments. At the end of the season, she submits five PDFs of the form. Using Google Drive, she makes a folder of photos that correspond to each completed task and emails that to Vermont State Parks as well. She likes the fact that it's an inexpensive way to enjoy the warmer months. "I think we'd be disappointed if we didn't do it," she says of the adventurous summer tradition. Taking the challenge is also pretty fun. Miller recalls a recent hot day when the kids were on their devices all morning. He encouraged them to go outside and complete a Venture Vermont task with him: Make your own slip and slide. They laid down a big piece of plastic, soaked it with water and "away we went," Miller says. Then they added it to their tally of summer fun. Here’s a sampling of activities from the Venture Vermont Outdoor Challenge. Download the Venture Vermont score sheet at vtstateparks.com/htm/venturevt.htm. Deadline is October 15.